As a school authority, it is your responsibility to find an alternative to every aspect of education that is cost-effective but does not lack in performance. The same applies to school buses. Optimizing school bus routes is a way by which you can save money and ensure school bus safety. It is important to maintain up-to-date information about students traveling in a particular bus route. This can help in taking quick decisions. Details like general information, safety information, emergency contacts and special requirements must be stored in one location. It becomes easy to access at times of emergency. 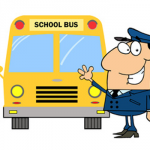 Use School Bus Tracking Software to keep track of the school bus drivers’ performance. You can get information like document scheduling info, attendance, recertification testing and traffic violations using the software. This information comes in handy at times of driver license renewal, payroll calculation etc. Keep a fleet record with information such as fleet type, capacity, special equipment and inspection date stored in it. This can help you in maintaining the vehicles on time and saving unwanted repair costs. Also, understanding the capability of the school bus fleet helps you in effective school bus route optimization. The school bus has to stop every two minutes to let students get in. This is the case of most school buses around the world. However, the practice leads to increased fuel consumption, which is a loss for the school. Instead, you can plan school bus stops to where about 5 to 6 students belonging to the same area can walk to board the bus. 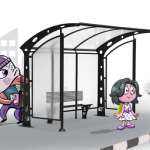 This reduces the number of bus stops and helps in saving fuel costs. 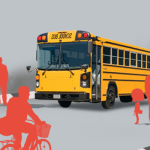 Bus route optimization is all about following cost-effective options while ensuring school bus safety. Try bus route variations without affecting the current bus routes to maintain balance and efficiency. Also, this helps you to identify the most effective bus route. When you define school specific rider zones, you only transport riders who are eligible. This also helps in avoiding zones that pose threat to the students and ensure school bus safety. Considering the time a school bus takes to pick the students and return back to school before classes begin, rearrange the district boundaries. You can also try combined routes. This helps in cutting down fuel and fleet maintenance costs. With a School Bus Tracking Software, you can get all information about a school bus like the distance travelled, fuel consumption and so on. This information can then be used to analyze the areas where you can cut down the costs. The software also keeps track of the performance of school bus drivers. You will get to know details of deviation of school bus route, over speeding etc. This helps you in ensuring school bus safety. Also, you can take measures to improve the drivers’ performance. This is one way you can ensure the safety of students in the school bus. Students can use the RFID tags attached to their school ID cards to swipe in the card reader installed in the school bus. This marks their attendance and the message will be immediately sent to parents and school authorities. This helps you in noticing whether a bus stop has been missed. Also, you can know from where a student boarded the bus and where they alighted. Manual routing and planning may not work every time. Also, it may be prone to errors. You can rely on School Bus Tracking Software for automatic routing and planning. 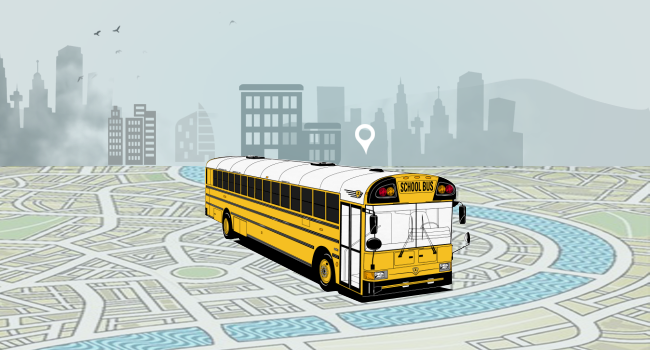 You just have to verify the school bus routes generated by the software and make necessary changes. This helps in the generation of optimized school bus routes within a short span of time. Also, you can save time and costs in terms of fuel and labour. Your Child’s Accurate Location, From Your Smart Device!